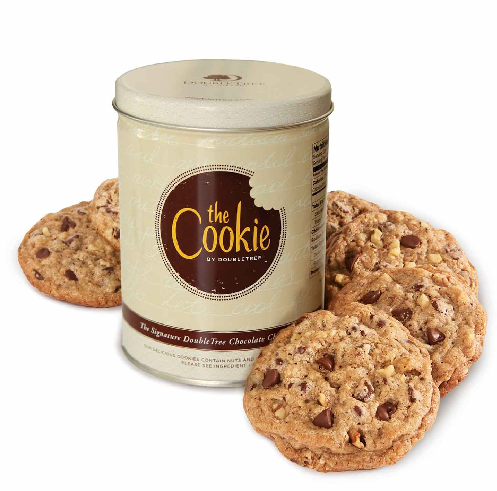 This episode is brought to you by cookies! Oh, and we talk with Mike Girard about the launch of the Games Workshop products at Mesa Comics, as well as nerdery in general. So this post and the one for 3/24 were uploaded to the site weeks ago, but apparently I’m an idiot and still can’t remember to publish the posts versus save them as drafts. In this case it’s in terribly bad form on my part since I was trying to help push The Doubleclicks’ tour and the Widow’s Web Kickstarter campaign, the latter of which is now over. Frankly, that’s awful, and I am deeply and genuinely sorry! I’ve no excuse to offer…only the episode that was. Happy listening! This week’s podcast is brought to you by my Twitter word cloud (I’m @TheBlogadin over on the bluebird site, if you’re into that kind of thing). 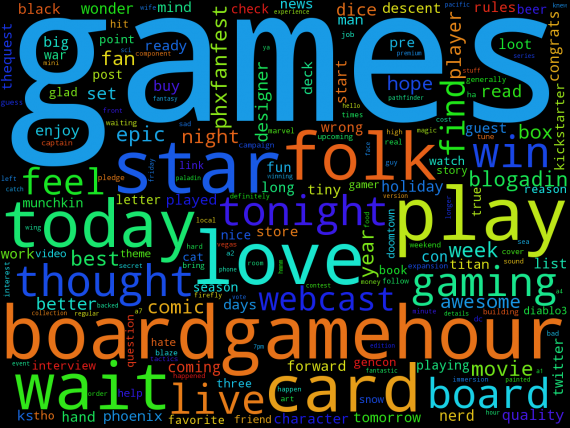 Games is the word I most often use on that thing…go figure! In any case, this week I chat up Chris Leder about his latest game & Kickstarter campaign, Trainmaker, plus I bring you the latest news & notes from the week that was. Also, I chat briefly on the drama that happened this past week in the hobby gaming world regarding sexism, and how to not use Twitter. Fair warning – next week’s show will be streamed while I’m in Las Vegas for the GAMA Trade Show. I don’t yet know if I’ll be pre-recording the entire thing or if I’ll be doing a portion of it live, but I DO know two of next week’s guests are The Doubleclicks, as well as Raven Gregory and Autumn Ivy from Broken Butterfly Comics & their new comic book, Widow’s Web. Hey, a new episode! Where have I been all your li…errr, for the past few weeks? Whelp, I did actually record an episode two weeks ago, but it’s only up on my Mixlr show reel (because life, and I’ve been a touch lazy). Other than that, it’s just life and busy-ness that’s kept me out of the studio. But now it’s back to business! This week’s episode has a number of tidbits from the week that was, plus I dive into a topic that I’ve been avoiding for over a month now, but we need to talk about. 28:18 – Help The Kids! 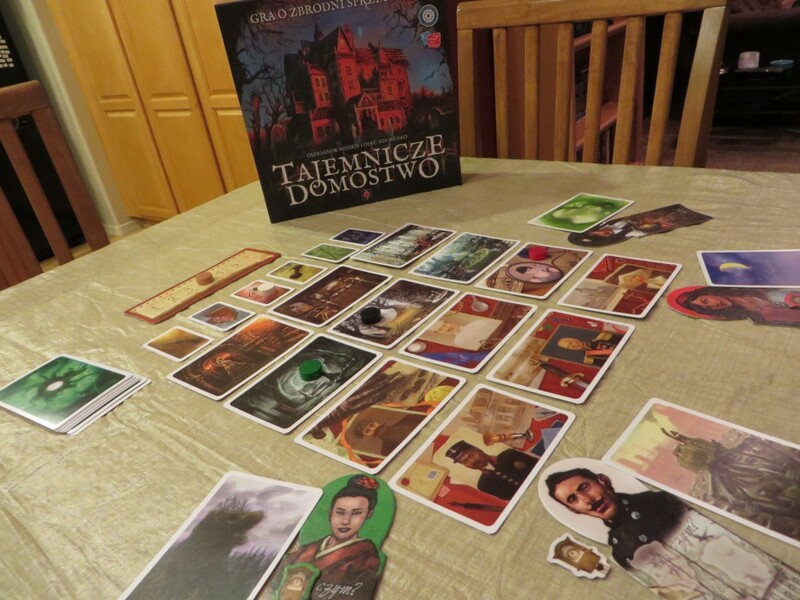 This week I ended up talking with some fantastic guests – Mike Selinker & Gaby Weidling from Lone Shark Games, and Chris Leder from Calliope Games. Fortnuately their personality and talent made up for my recurring lapses in focus. As a semi-amateur (you know, the step between amateur and semi-professional) web radio host I do try to keep some semblance of professionalism during the show. Being that this isn’t my day job, however, and I’m a nerdy fan like many of you, sometimes it’s difficult to keep that focus when you’re talking with guests who you’re a fan of. This was just one of those weeks. Mike “The Muffin Man” Selinker kept me on my toes, but man was it a great time trying to keep up with him! It sounds like all three will be back on the program at some point – Chris will probably be on sooner than later, as he’s got a couple projects being let out of the bag fairly shortly. Stay tuned for more info! 13:03 – New game announcements from Stronghold Games and AEG, now with 100% less Kickstarter! After months of anticipation and weeks of recording, planning, waiting, and general impatiented-ness (I can make up words because I have a degree in English), Titans Tuesday is finally here! Or, more accurately, was here, because now it’s Titans Thursday! This week I talk to Ray Wehrs, President of Calliope Games, about their upcoming line of gateway games, the Titan Series. Additionally, I chat a little bit with one of the game designers tapped to make a game for the Titan Series, Paul Peterson. Both of those interviews, plus all the news of the week from the nerd and hobby gaming world – and there was a plethora of it! This week we talk about deflated footballs…err, wait, no we don’t. Okay, maybe a little bit. This week it ended up being all news and notes from the week! There were simply some huge stories that broke from Wizards and Marvel on Monday and Tuesday, all of which warranted a good amount of attention. 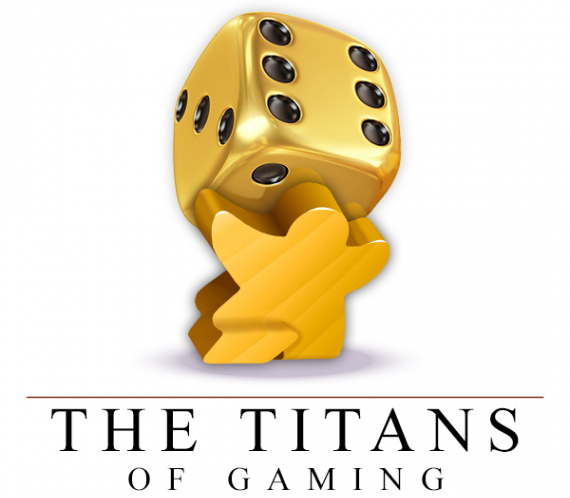 And don’t forget that next week’s show is Titans Tuesday, where we discuss the big Titans Series Kickstarter campaign from Calliope Games and talk to some of the people involved with the effort, including Ray Wehrs, President of Calliope Games, and game designer Paul Peterson of Magic and Smash-Up fame. Can’t wait! THE Ohio State University Buckeyes…national football champions!!! Mmmm…can you taste that? That’s the taste of victory right there! Since we won the game, this week’s show – as promised – features a heaping helping of Ohio State marching band music, so don’t be alarmed by the lack of the normal riffs, and feel free to use the slider to move along to something more appealing if band music damages your finer musical sensibilities. As for topics, we bring to you Michael Coe of Gamelyn Games and publisher of Tiny Epic Galaxies (currently destroying the universe in Kickstarter – if you haven’t pledged for it yet, do it now!) – an interview that came together twelve minutes before the show went live thanks to a spam filter or other email assassin somewhere in the ether, but when you have an opportunity to get a guy like Michael on the show, you do it! As it turns out, both of us had been trying to communicate with the other for weeks, but for whatever reason, emails simply weren’t making it back and forth between the two parties. Many thanks to him for appearing on the show, for being persistent, and for ultimately being gracious to me when the interview finally came together! I also chat about some significant changes to GenCon housing and registration, and how labels in games may be more damaging than helpful. First, my apologies for not updating the site in so long! On one hand, I desperately needed the break; on the other, I do have a commitment to you – my listeners and fans! – to keep the content coming. Hopefully I can be forgiven for taking a holiday hiatus. That brings us, of course, to the first show of the new year – Happy New Year! Today’s show features a review of Mysterium by Portal Games and a preview of the Dungeons Defenders 2 video game (currently in pre-alpha), as well as the usual news of the week (or, in this case, month). 06:05 – I won Quantum from Passport Game Studios thanks to your votes! That’s how Phoenix Comicon Fan Fest started for me. I had roamed the underbelly of University of Phoenix Stadium until I found the Fiesta Bowl Digital Media Room where the fans-create-a-comic sessions were going on, starting with the “A Hero is Born” panel. Brian Augustyn headlined the panel with a walking cane as his sidearm. 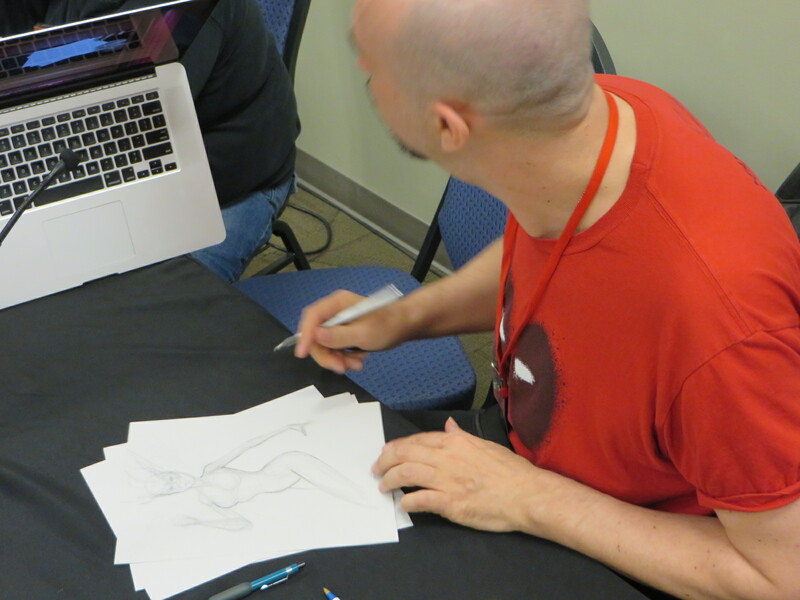 Accompanying him on the panel were newly-published local novelist Amy K. Nichols and creator Sean “Cheeks” Galloway of Spectacular Spider Man and Teen Titans fame. I arrived about ten minutes late but thankfully nothing had started yet. After another ten minutes of nothing the moderator & panelists decided to go ahead and get started. The delay was understandable. I was the only attendee. If you’re wondering if that’s as awkward as it sounds, it absolutely was. And it’s a damn shame, too – here’s a rare opportunity for consumers to collaborate with creators and make something representative of themselves and the Valley of the Sun, and its going to waste! Instead of a crowd, it’s only me. No pressure, Alex. You’re just representing the thoughts of an entire state. Copyright © Blogadin Enterprises, LLC, 2018 All Rights Reserved.